The Grove City native involved in a Butler Township motorcycle crash earlier this week has died. 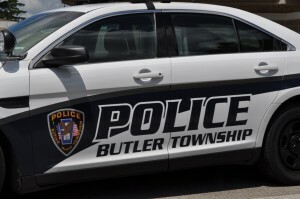 Butler Township Police say 23-year-old John Ficca of Mercer County lost control of his bike about 9:15 p.m. Wednesday on Crisswell Road, striking a ditch and a drainage pipe. Ficca was treated at the scene for head injuries and eventually flown by medical helicopter to Allegheny General Hospital in Pittsburgh. He died Thursday night as a result of his critical injuries. The post Man Dies As Result Of Butler Twp. Motorcycle Crash appeared first on ButlerRadio.com – Butler, PA .